Event Description: Fans of Britains two most beloved sportscar marques have much to look forward to ahead of the International MG and Triumph Spares Day at Stoneleigh Park, Coventry, Warwickshire. 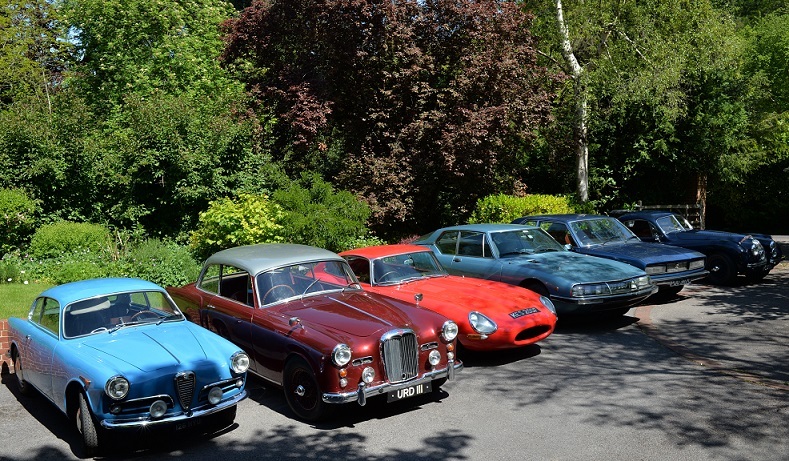 More than twenty MG & Triumph car clubs will be exhibiting at the event meaning whatever your preference, you'll likely to find it represented at the show. Owners and experts will be on hand to offer advice and answer any questions you may have. Event Description: As in previous years we all meet up for a scenic drive to (or should that be boarding) the SS Great Britain, in Bristol's historic docks. Brunel's SS Great Britain is one of the most important ships in the world. When she was launched in 1843 she was called 'the greatest experiment since the Creation'. By combining size, power and innovative technology, Brunel created a ship that changed history. His vision for the SS Great Britain made her the great-great-grandmother for all modern ships. Allow 2-3 hours to ensure you see everything.Around mid afternoon we will again take a 30 minute drive around the local area arriving for Sunday lunch to The Failand Inn, a family run pub, on the outskirts of Bristol. Organisation: GWS (Great Western Saabs). Event Description: In February 2019 the VSCC will once again be returning to Silverstone to kick off the Race season with the legendary 'Pomeroy Trophy', in which both Pre-war and Post-war vehicles will be marked on their speed, agility, and braking capabilities in this exciting and totally unique event. 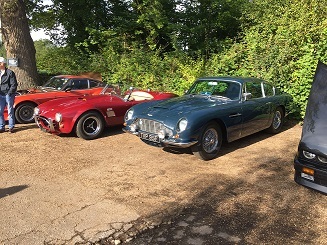 Event Description: A free gathering for all pre-1990 classic cars takes place every third Saturday of every month throughout the year at Botley Hill Farmhouse, an early 16th century country inn on Limpsfield Road, Warlingham, Surrey. This is 3 miles south of Warlingham on the B269. The event is a static gathering in the midst of some some wonderful driving roads though the scenic North Downs including the famous Woldinghamring. 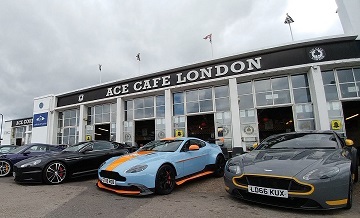 Event Description: Head down to the birthplace of British motorsport and aviation for the first Sunday morning Winter Breakfast Club of 2019. All cars are welcome to park on site until 9:30am, after which normal visitor car parking can be used. 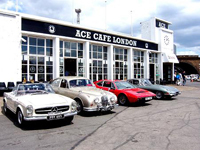 Event Description: The VW event encompasses all of the traditional VW show attributes under one roof, comprising several halls and floors - there's even a 200 seat indoor restaurant and a pint serving pub! It doesn�t matter what the winter weather throws at us, it�s always bright and warm on the inside with more than adequate heating and lighting all around to keep it that way. 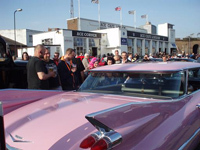 The only outside activity taking place is the vehicles for sale area, last year attracting over 70 vehicles. Event Description: This year�s Motor Sport Hall of Fame Live will include a unique tribute to British racing driver Mike Hawthorn when it returns to Race Retro. The Hawthorn showcase features both cars and artefacts from his career that have been curated for a bespoke display. Event Description: Vintage Vehicle Auction Perth Scotland. Event Description: The (lucky) 13th annual RSR Icebreaker event returns once again at Whitewebbs Museum. Come one, come all and join the usual crew as they brave the elements at the start-of season at Whitewebbs Museum. All models and conditions are welcome. 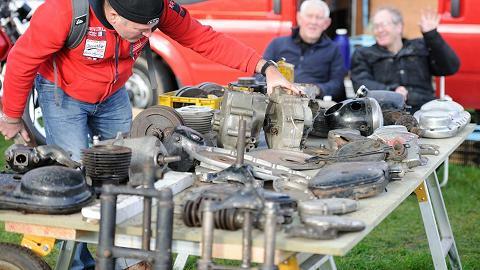 Event Description: A great day out for any car or motorcycle enthusiast, the 'Normous Newark Autojumble offers a vast array of parts, restoration services and related products for a variety of vehicles on ten separate Sundays throughout the year. Each 'Normous Newark Autojumble sees Newark Showground filled with hundreds of inside and outside trade plots, as well as a classic car and bike display area. On site catering units are available as well as an inside cafeteria. 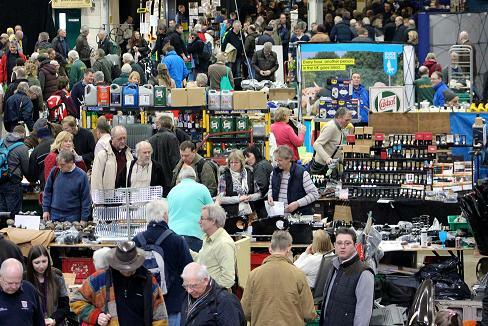 Run by a friendly and experienced team of event staff from Mortons Media, each 'Normous Newark Autojumble attracts a large number of visitors from across the UK in search of the great finds and bargains on offer. If youre after a certain part, piece or tool for a motoring project, then the 'Normous Newark Autojumble is where you will find it. 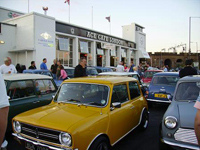 Event Description: Hero Retro Classic Tour starting from Race Retro,is perfect for anyone and any car! With easy to use tulip-style navigation and beautiful, scenic lanes, Retro Classic Tour is an ideal way to start your experience of classic motoring or just enjoy a day with like minded individuals and driving your car. The route will be approximately 110/130 miles, on an all-asphalt roads route, taking in the great scenic driving roads around Stoneleigh and surrounding area. Times:leave around 10 � 10.30 am and return after 3 pm. Event Description: Morris Minor Event - Greater Manchester�s Museum of Transport. The Morris Minor was designed by Sir Alec Issigonis (creator of the Mini) and was built by Morris Motors, later by the British Motor Corporation and eventually British Leyland.